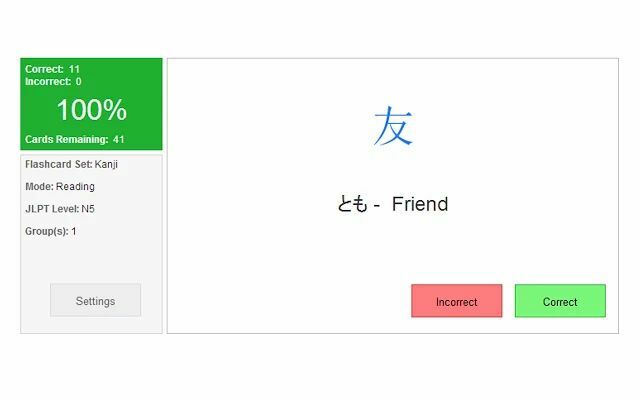 Practice your Japanese reading ability with this simple quiz application. 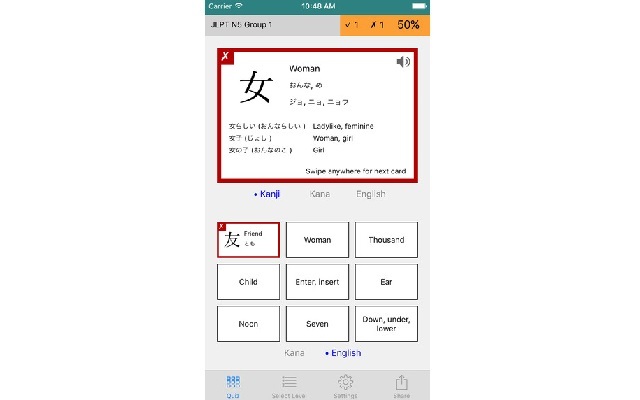 Choose from Hiragana, Katakana, or Kanji (organized by JLPT level). 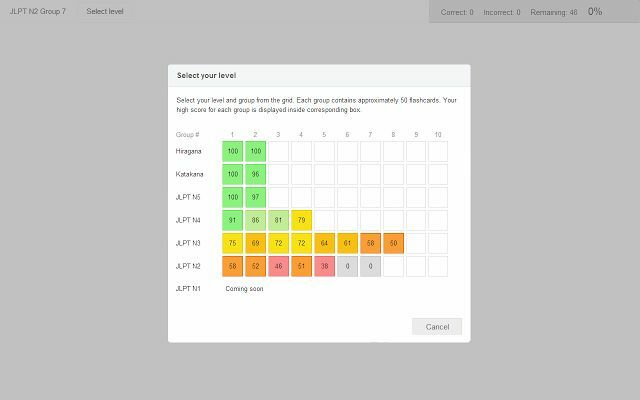 Quiz questions are multiple choice and appear in random order. 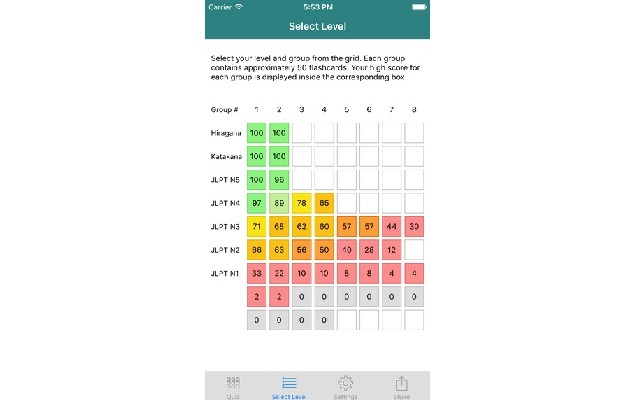 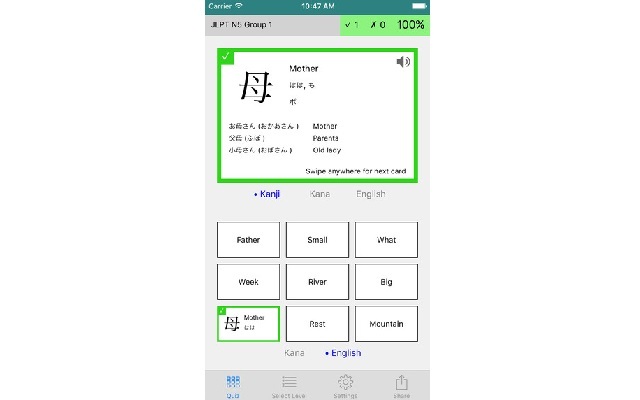 Try the web version or download the app for IOS. 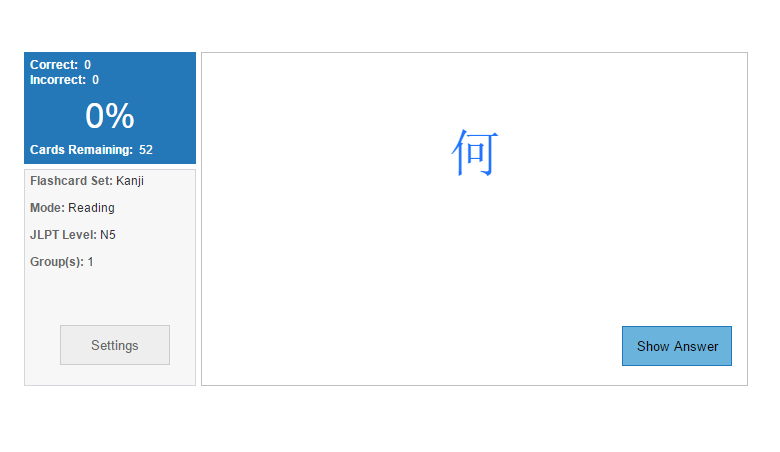 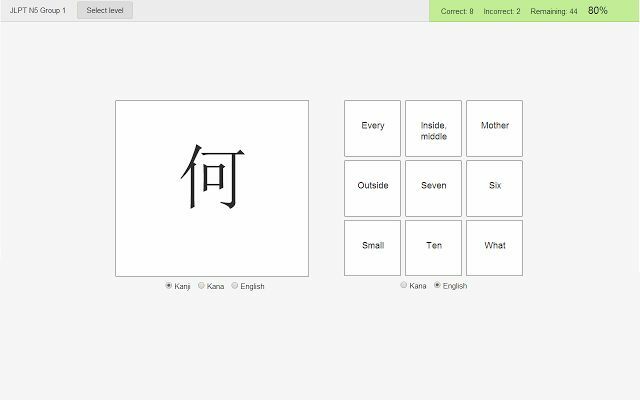 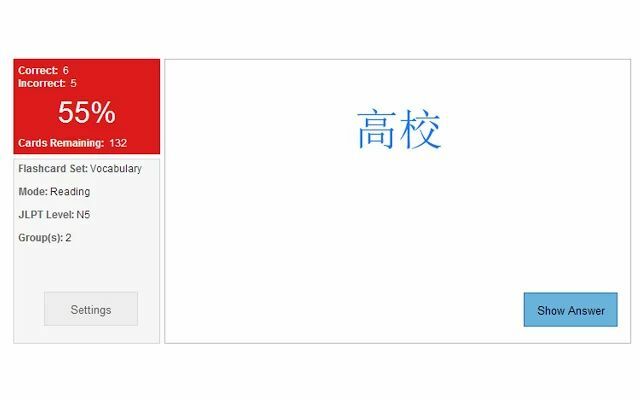 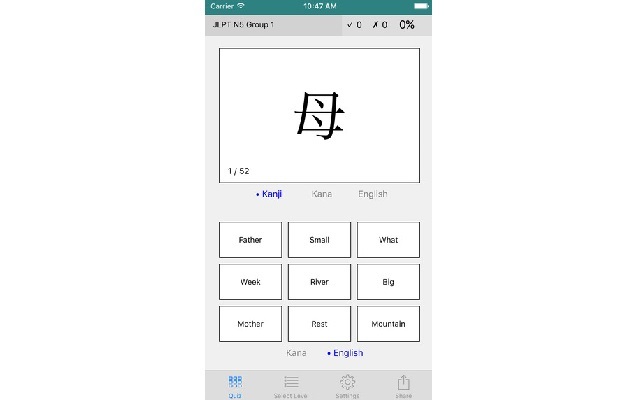 Practice Japanese Kanji with this simple flashcard viewing application. 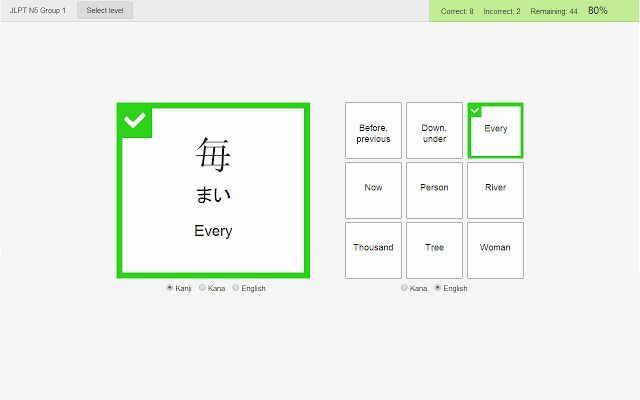 Flashcards are an easy and effective way to memorize Kanji. 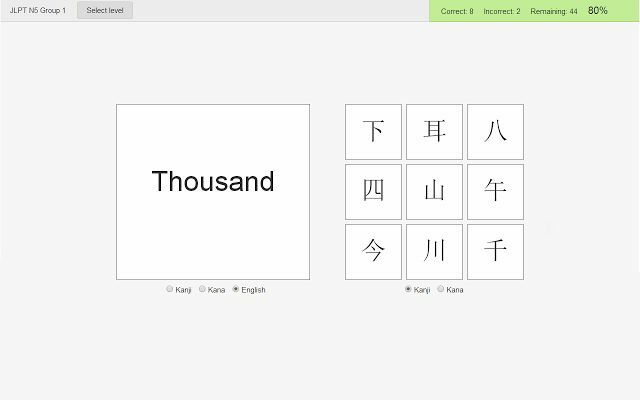 In addition to single kanji flashcards, we also have flashcards for vocabulary words containing one or more kanji. 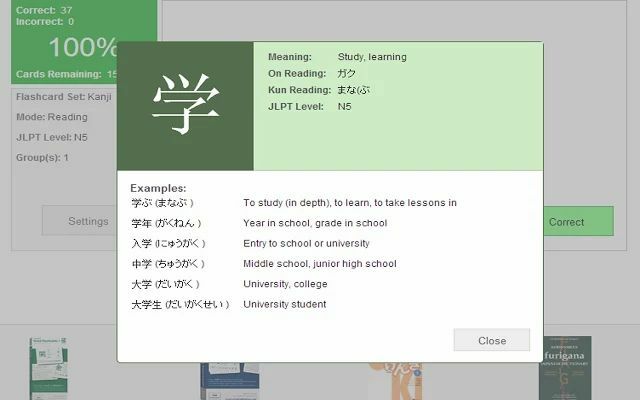 Kanji and vocabulary flashcards are divided into groups based on the JLPT level of the related kanji.